Looking to Build a Deck? Call on Stevens! Decks are a great space to entertain your family and friends seasonally. The team at Stevens Siding & Window Co. can create your ideal outdoor living and entertaining space in Central Maine. From creating beautiful built-in benches or a bar, to creating a covering for your deck like a pergola or a roof, we can build your deck to your exact specifications. We know you want your deck to be safe for your family and loved ones, so we build sturdy railing to surround the whole deck and any stairs. For a free, no-obligation estimate, or to discuss your decking needs with a member of our experienced team, contact Stevens Siding & Window Co. today: (207) 453-8346. Your deck will not last as long if left unprotected. 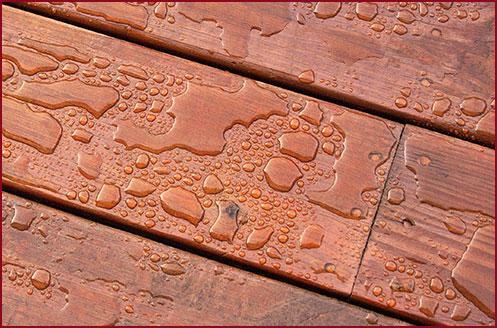 If you do not treat and waterproof your deck, the wood will start to rot due to the moisture and elements, and you will need to prematurely repair or build a new deck. 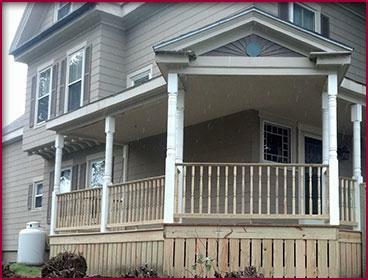 Stevens Siding & Window Co. will waterproof your deck, whether we are constructing it, or if your deck is already built. Whether you are looking to stain or seal your deck, the team of experts at Stevens Siding & Window Co. can do it quickly and easily for you. Contact Us for Deck Repairs & More! 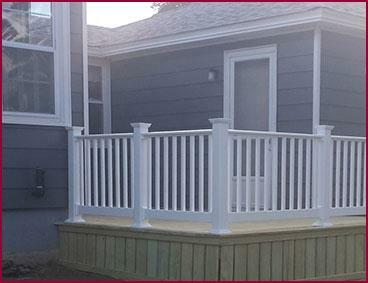 Contact Stevens Siding & Window Co. for all your deck construction and deck waterproofing needs. 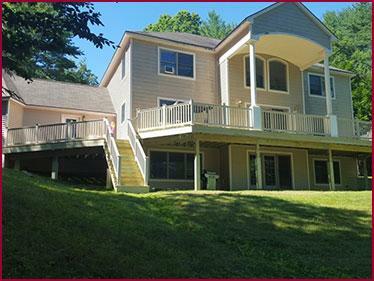 We provide our customers in and around Central Maine with quality, long-lasting decks that meet your needs, whether you want an outdoor living space, or just a small area leading up to your home. 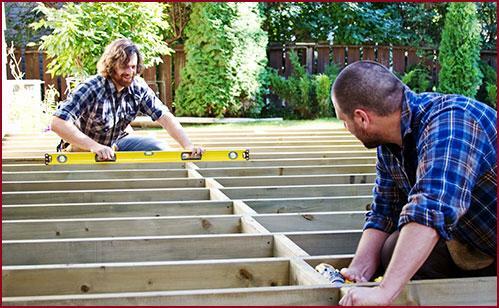 We offer no-obligation free estimates for all of our deck services. Give us a call today for more information: (207) 453-8346.